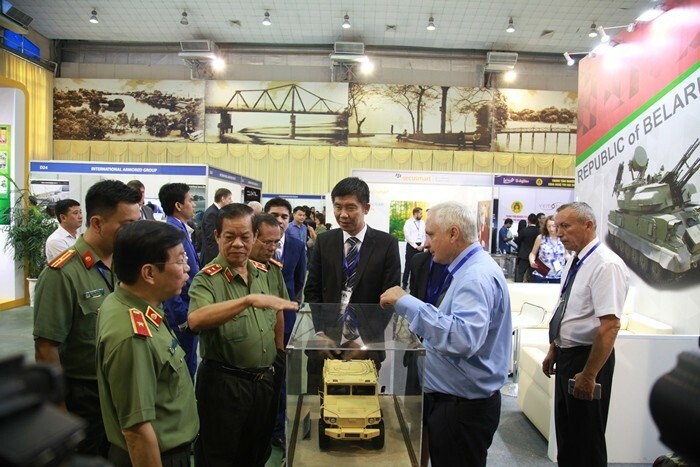 (VOVWORLD) - The 3rd Homeland Security Expo opened on Wednesday in Hanoi to introduce security and defense products from around the world, under the auspices of the Vietnamese Public Security Ministry. The Expo attracts top weapon and defense equipment suppliers from France, Israel, Belarus, Russia, Ukraine, the Republic of Korea, India, and China. The Homeland Security Expo is organized to showcase security and safety products and technologies for traffic monitoring, rescue, crime prevention, firefighting, cyber security, natural disaster management, and riot control.